This "How To" explains the process of getting two tangent line equations, from a point that is outside of a circle to the edge of the circle. 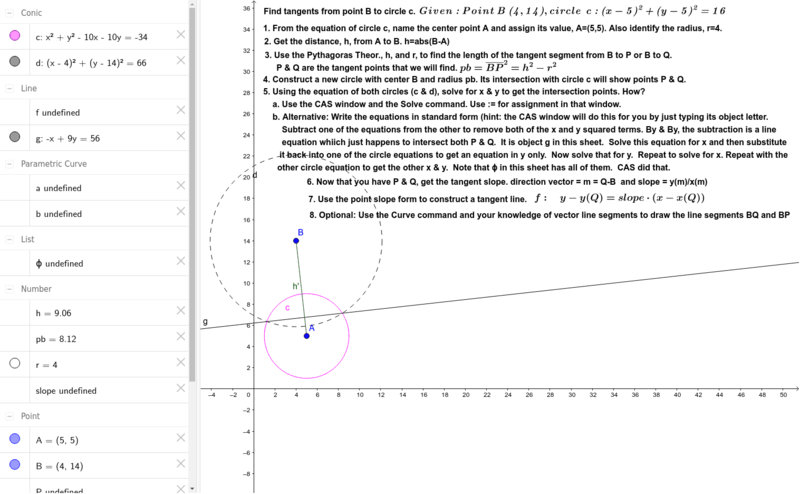 Of course you can do it quickly with Geogebra tools, but that isn't the scope. This explains how to do the job when Geogebra will not be used.